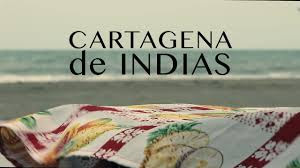 So you are at Cartagena, and you think what can I do in this fantastic city? Well let me give you 5 things to do. 2-Know the Castillo de San Felipe de Barajas. It is one of the most important fortifications built by the spanish crown in the times of the colony. Here the battle of Cartagena (1758) was won by the Spanish commander Blás de Leso to Admiral Vernon, defeating forever the british aspiration to dominate the waters of the caribbean. Is #Cartagena in #Colombia the new touristic trend in LatinAmerica? Some people say yes. Cartagena is coming to be one of the most relevant destinations for tourists in LatinAmerica. I can give you many reasons. Since the signing of the peace treaty with the FARC guerrilla the visitors to Colombia have been increasing at very high rates. This year alone, it in the positive side more than 46% for the first 6 months, and it is expected to go higher. Cartagena and Bogotá are the main attractions to a country that has many other appealing destinations on the tourism map. 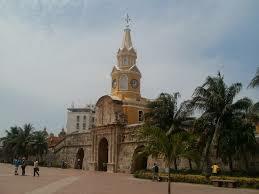 But lets talk about Cartagena; it is a wonderful place to visit and enjoy top of the line vacations. It seems to have it all, nice tropical weather, great beaches, nearby islands and coral reefs, natural places, good hotels, great airport and many routes to travel from all over the world easily.